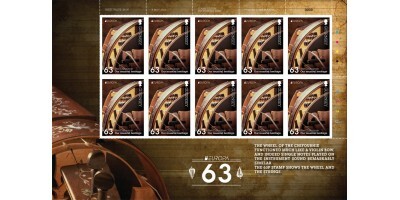 A small sheet containing one of each stamp from the issue, set against an illustrated background. 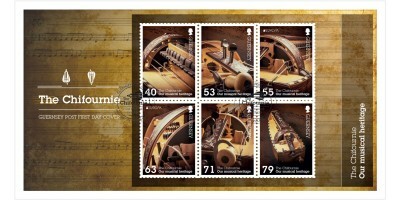 You can see and hear the chifournie being played by downloading the Sepac or Lowe-Martin App from the..
40p – Shows the beautifully uniform keys of this the modern cousin of the Chifournie, the Hurdy Gurdy 53p – shows the wooden pegs and the turning handle of the instrument; melodies were played on a ke..
You can see and hear the chifournie being played by downloading the Sepac or Lowe-Martin App from the App store and hover your smart phone or tablet over your stamps. The Philatelic Bureau offers a f..
You can see and hear the chifournie being played by downloading the Sepac or Lowe-Martin App from the App store and hover your smart phone or tablet over your stamps. A convenient and attractive meth..
You can see and hear the chifournie being played by downloading the Sepac or Lowe-Martin App from the App store and hover your smart phone or tablet over your stamps. 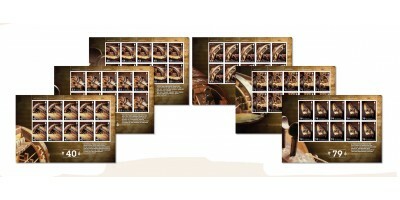 A pack insert is a backing board..
You can see and hear the chifournie being played by downloading the Sepac or Lowe-Martin App from the App store and hover your smart phone or tablet over your stamps. 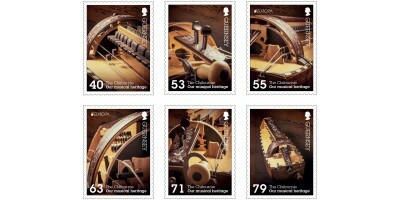 Some of our stamp issues are pro..
EUROPA sheets are produced in sheets of ten. 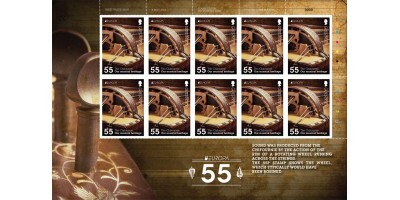 This enables collectors to obtain cost-effective sheets of each value with the name of the designer, printer and printer’s information and ‘traffic lights’..
Each year a different theme is announced by PostEurop and each of the member postal authorities create unique stamp series based on the topic. 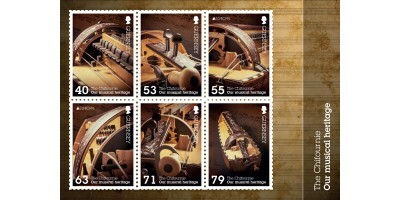 For 2014 the subject is ‘National Music Instruments’ and our stamps feature some stunning photographic images of one of the Channel Island’s former favourite musical instruments – the chifournie. 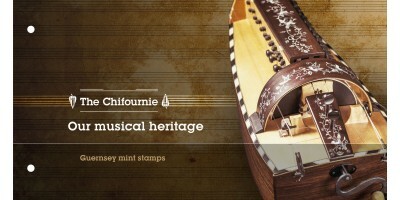 Similar to the modern day hurdy gurdy the chifournie is an interesting instrument with its origins dating back to the tenth century. Once playing an important role in island fetes, festivals and celebrations, sadly this interesting instrument’s melodies had disappeared from Guernsey by the mid-nineteenth century. 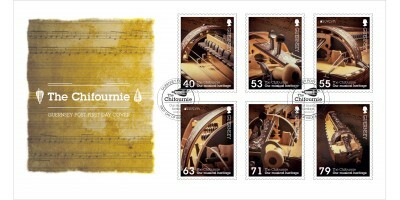 To see and hear the chifournie being played you can either click here or download the Sepac or Lowe-Martin App from the App store and hover your smart phone or tablet over your stamps.